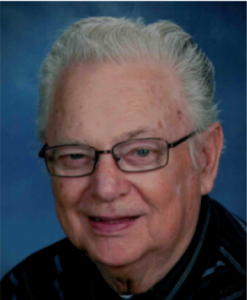 Larry Dean Taylor, 79, of Sesser passed away on September 26, 2018, at Parkway Manor in Marion. He was born on May 24, 1939, in West Frankfort, IL, to Ralph Henry and Altha “Billie” (Clark) Taylor. He married Bonnie Ellen (Legendre) Taylor on July 12, 1980, and she survives of Sesser. He graduated from Goode-Barren Township High School in Sesser and Decatur Barber School. He also served his country in the Illinois National Guard for six years. Larry was a longtime barber in Mt. Vernon, Waltonville, Ashley, and Sesser. He invented the “Taylor Vac”, a vacuum system for barbershop haircuts which was used by many shops in Southern Illinois. He was also the founder and president of Southern Illinois Oil Investments, Inc., an oil production company. He was a member of the Webbs Prairie FWB Church until its closure and then attended Bear Point FWB Church. Larry enjoyed camping, Civil War re-enacting, driving his antique cars, and wood carving. He is survived by his wife, Bonnie, a son Alan Dean (Lisa) Taylor of Mt. Vernon; a daughter Jennifer Lynn Taylor of Benton, her fiancé Kirk Hayes of Kell; a nephew Rick (Sue) Taylor of Woodlawn; and two grandsons Raini and Bodi Hawkins of Phoenix, Az. He was preceded in death by his parents, a son Michael Ray Hawkins, a brother Donald R. Taylor, and a sister-in-law Peggy Taylor. Funeral services were held on Saturday, September 29, in Sesser with Brother Larry Cook and Brother Merle Fullerton officiating. Burial was at Maple Hill Cemetery in Sesser. Memorial contributions can be made to the Bear Point Free Will Baptist Church in Sesser. Larry was a longtime member of the IOGA and operated wells in Jefferson and Franklin Counties.